One day I hope to have a house, in this economy now is the time to buy! While I dream of home ownership another joy is constantly in mind. Decorating said lovely home of course! 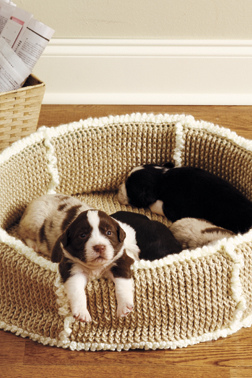 What do you think of some of these fabulous knits made for the home! 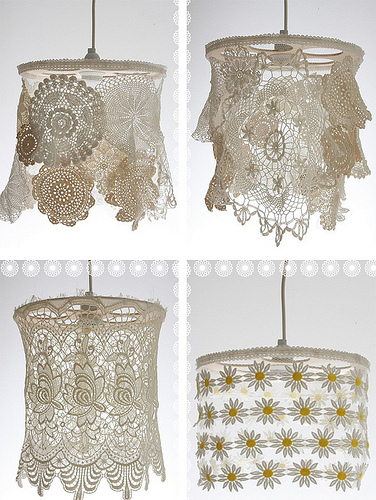 Aren't these beautiful lamps! Can you imagine how romantic this room must be? How cozy does this look! I want to jump right in and snuggle! Perhaps Rooster might like a bed too? 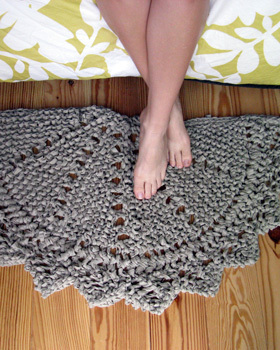 Or even a rug on for those cold hard wood floors during winter? 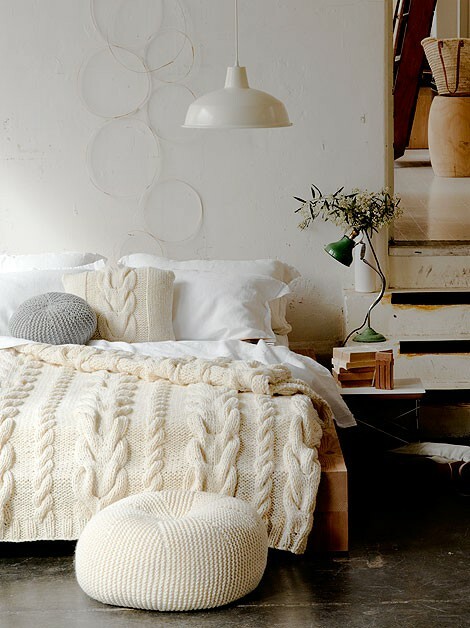 Where can you find knitted pleasures in your home?